Canadian Sport Institute is proud to have the opportunity to work with and for BC and Canada’s world-class athletes. We operate with an athlete-centered, coach-led philosophy to ensure that they have every advantage to compete on the world stage. FoodStuff™ is a community partnership between local restaurants/grocery stores and Canadian Sport Institute. 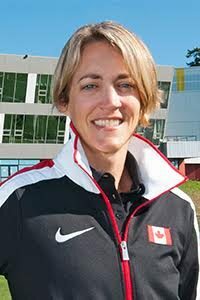 It is in support of Canada’s High Performance athletes and coaches who call Vancouver, Victoria or Whistler their home. Your Canadian Sport Institute card provides the region’s High Performance athletes and coaches with affordable options and the kind of food value they need to reach their goals in representing Canada. A comprehensive list of medical resources that offer assistance and provide suggestions for maintaining good health in high-performance athletes. Canadian Sport Institute Pacific and a number of our partners provide a variety of ways in which athletes can receive financial assistance. View our Grants & Bursaries. The Canadian Sport Institute Athlete Advance is designed to help educate and inspire British Columbia’s future and current Olympic, Paralympic, and World Championship athletes in their quest for podium performances. Read more about Athlete Advance™. The Sport Performance Speaker Series will feature expert presenters on topics related to sport performance. These events are free for registered athletes to attend and are intended to be an open exchange of information and to build upon your current knowledge of sport. Canadian Sport Institute has accumulated a number of resources regarding anti-doping helpful to athletes and their support teams. Take a look at our Anti-Doping resources. Canadian Sport Institute Pacific provides a large number of additional resources for our athletes. Take a look at these Athlete Resources. Competing in different countries? Interested in learning a new language? Canadian Sport Institute Pacific can help all registered coaches, and athletes who are registered at the Podium Level and Canadian Elite level. Take a look at our Language Programs.